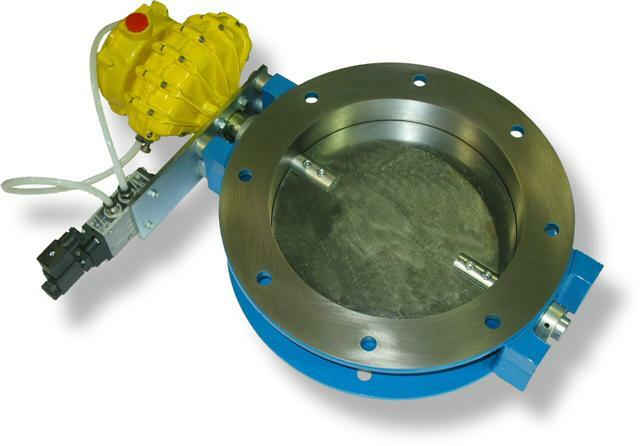 Our butterfly valves are designed specifically for use with powders- they are not a "general purpose" valve that was designed primarily for use with liquids. Cast versions come in BV flanged (shown) and WBV wafer pattern, to fit between standard PN flanges. Our speciality, however, is non-standard units, fabricated and fully machined to suit your connection. Any materials can be used that can be fabricated from carbon and stainless steel through to pure PTFE and Hastelloy. Seat materials to suit your application vary from nitrile and viton to PTFE encapsulated custom made silicone cored seals. For very high temperatures gland packing shaft seals and metal seats are used.